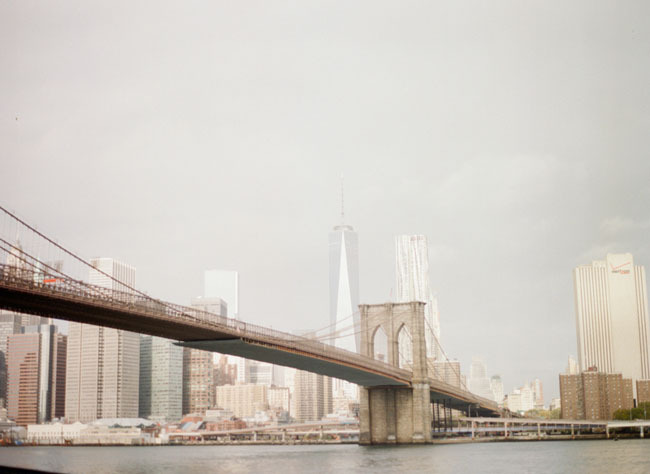 Out of all the iconic photo spots in New York, the Brooklyn Bridge is probably our fave. 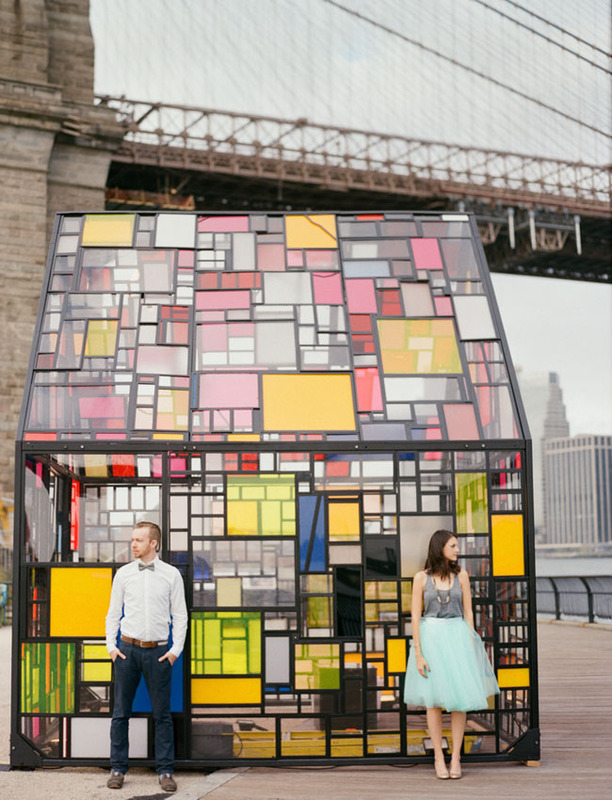 And it was the perfect place for Allie + William to mark three awesome years of marriage with a sweet anniversary shoot with Whitney from Tulle & Grace! 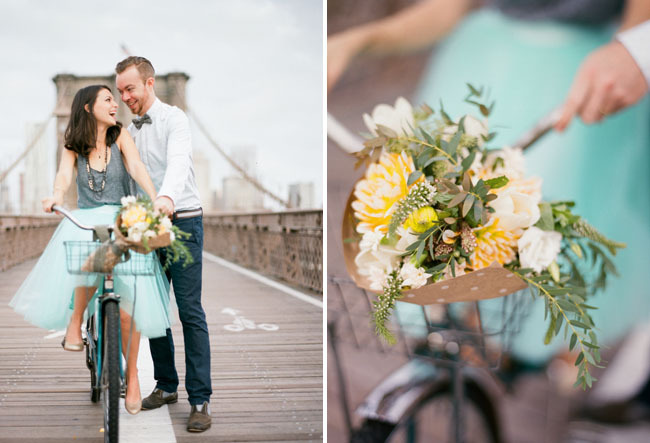 Since they knew they would be leaving NYC to head back to Atlanta, they loved the idea of not only celebrating their anniversary, but capturing some memories to remember their time living in New York. 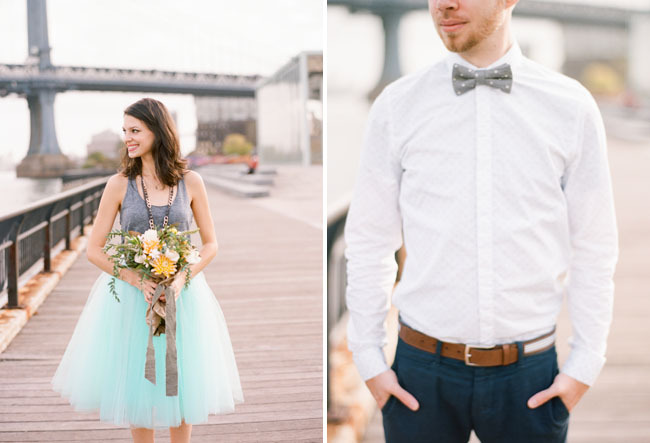 Leah from Color Pop Events styled the shoot + it was done just right if you ask us! 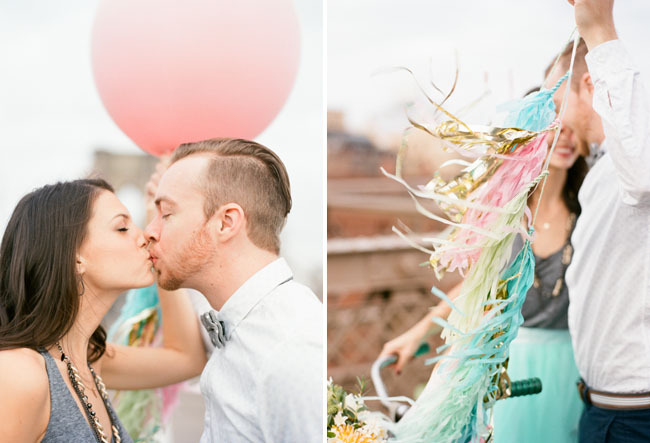 Plus, we loved hearing Whitney describe how Leah brought a vintage bike (from Little Vintage Rentals) + a giant pink tassel balloon over on the ferry! And Allie, who’s also the creative behind the floral studio, Bowman & Clark, whipped up a paper-wrapped, market-inspired bouquet that looked just perfect resting in the wire bike basket. 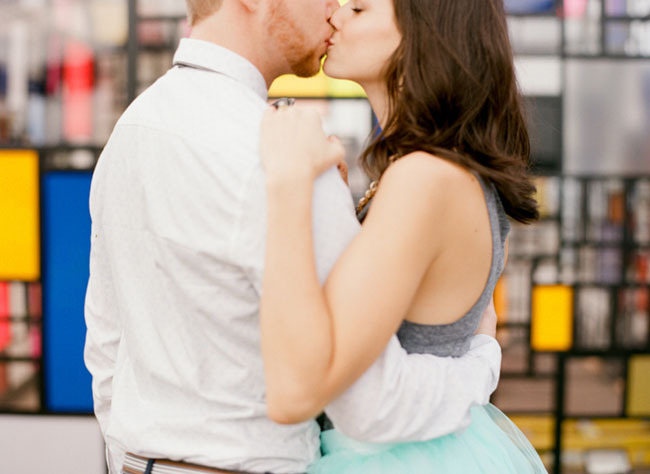 And it also seemed to be an amazing match for her fun mint tulle skirt from Space 46. Cuteness all around, folks! 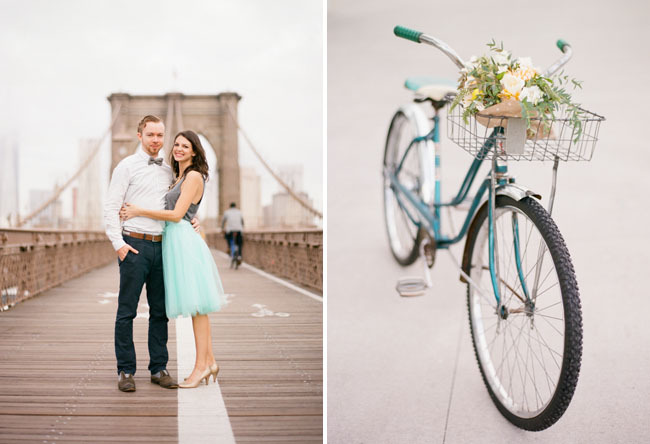 The bridge is such a fun setting + we’re loving all these snaps of A + W! 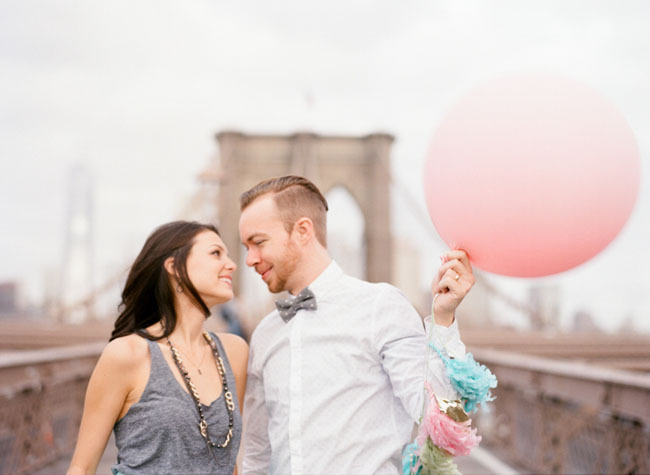 Let’s hear a little bit of marriage advice from these cuties: Listen to each other and compromise, always. Do what is best for your partner even if it is hard on you sometimes. Push each other to be better and stronger. Never stop adventuring and learning together. Let the little things go, it isn’t worth the fight. 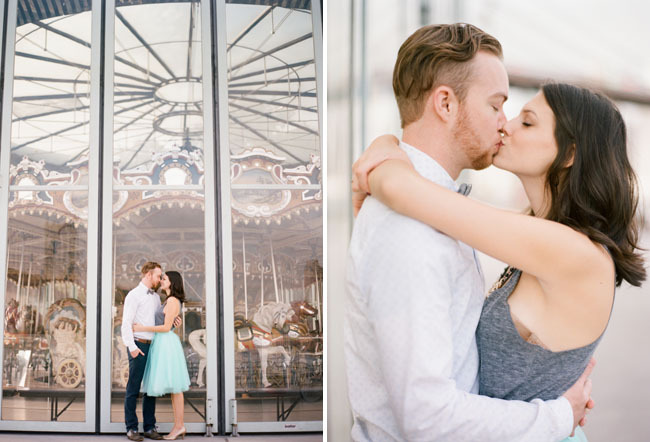 Congrats on three years, Allie + William! And best of luck with your move back to Atlanta! Amazing photos!!! Best wishes to the happy couple! Beeeeee-eautiful !! 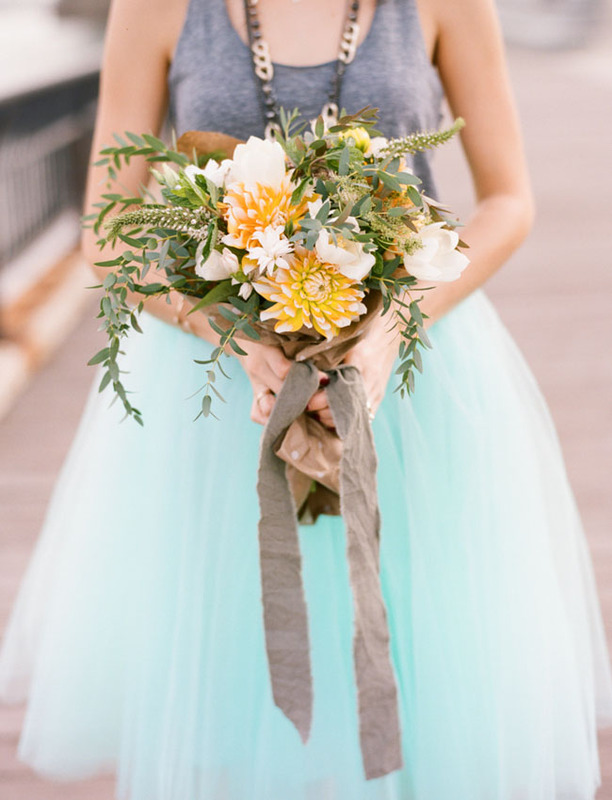 The mint green tulle skirt,,,,,,,,swoon……….. Stunning pictures. Gorgeous couple. Congratulations! lovely photos!! they truly look in love! We wish them the very best of luck!!! 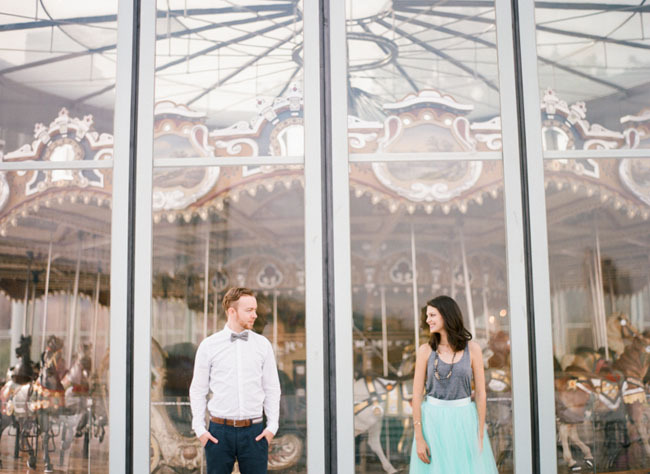 The mint green skirt is perfection and I love the picture in front of the stained glass. I may have to do something like this for our 4yr coming up.